Australia is not what you'd call a big soccer nation. The Aussies have tried since 1966 to qualify for the FIFA World Cup - the Football World Championship, but with next to no success up to 2006. In some qualifying campaigns there was a glorious failure, but sometimes too the team was simply just not good enough. 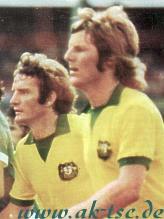 Australia reached the World Cup for the first time in 1974 in Germany. Remember, the 1974 World Cup Finals involved only 16 teams, not 32 like today. These pages are dedicated to those 1974 Socceroos - the nickname of Australia's national football team. The 1974 Socceroos' success was no fluke, even if it was unexpected. In 1970, Rale Rasic became the coach and worked with the single goal being getting the Socceroos to participate in the World Cup adventure. His team was not as is usual now, made up of pampered millionaires - completely the opposite. All his players had daily jobs outside football. Football was their hobby. Of course they were paid as club players, but nowhere near the fantastic rates as of today. Nor were the players on lucrative advertising contracts. For participating in the national team, they were usually paid a daily rate of just $AUD20. And tax had to be taken out of that as well. The team comprised tradesmen, miners, and salesmen. game or took a trip overseas to play they had to take holidays from their employers. And there were no training camps in luxury hotels, and no rich prize-money for victories. 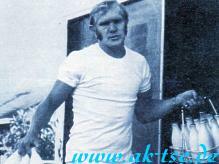 The main topic of these pages is to celebrate the 1974 Socceroos' qualification. The history is in words and pictures, rather than just masses of numbers and statistics. We should remember those times and this marvellous team's successes. We should never forget these heroes. As their exploits fade into history, they should still be an example for the young, and for the money-rich and resource-pampered stars of today. 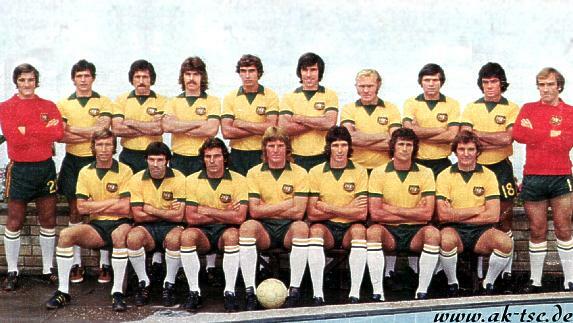 Regardless of when and how often in the future the Socceroos qualify for the World Cup, the first Socceroos to do so were those of the 1974 team who went to Germany. Foreword: I want to say a few words about this website. Over the years I have received thousand of mails. Most people are impressed about the passion I have for Australian football and many thank me for my support. of course I write down what I think and what I experience. Consider it a bit of a blog. So it is naturally an extension of my views and experiences.